For lovers who are foodies! 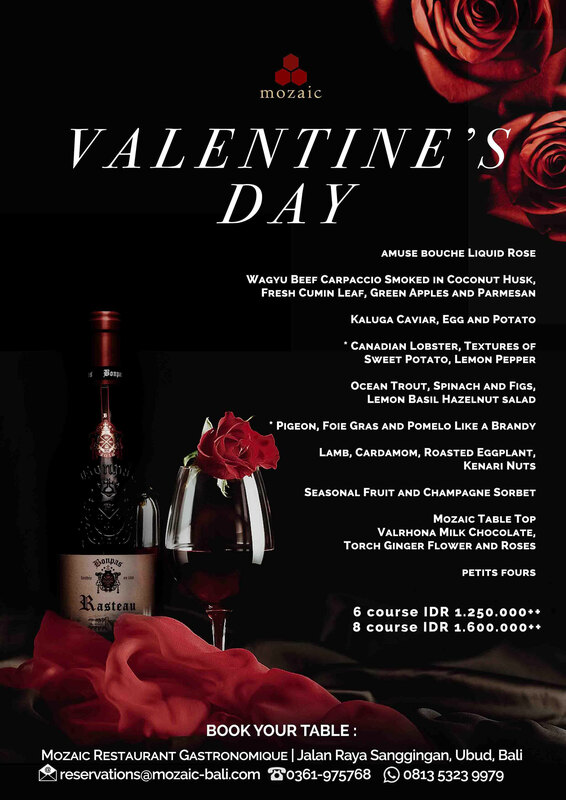 Mozaic Restaurant Gastronomique will present a romantic and sensual dinner menu especially for Valentine’s Day, with a choice of 6-course menu at IDR 1,250K++ or 8-course IDR 1,600K++. Premium wine pairings are offered at IDR 990++ for 6-course pairing and IDR 1,200++ for 8-course.